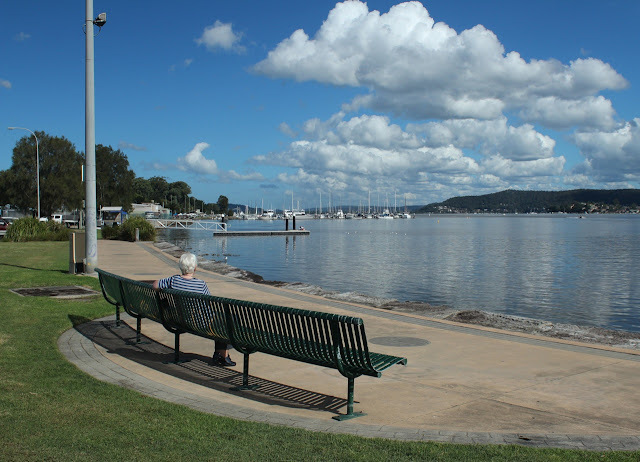 A 2.36 km return walk along the foreshore at Gosford. 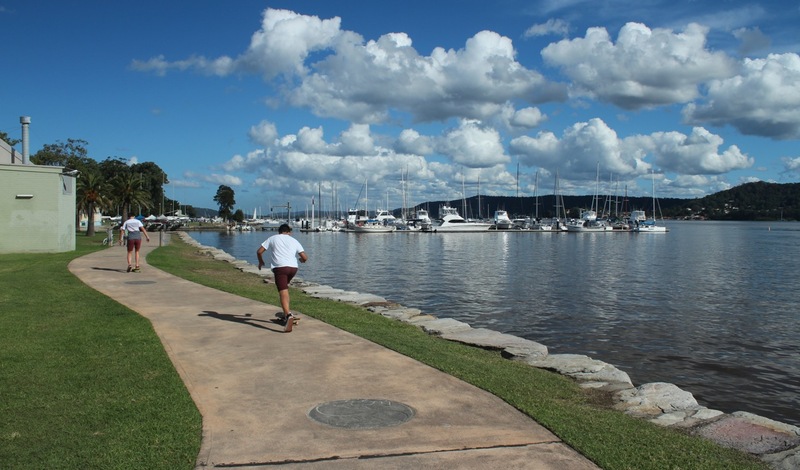 A picturesque walk following the foreshore at Gosford Waterfront. 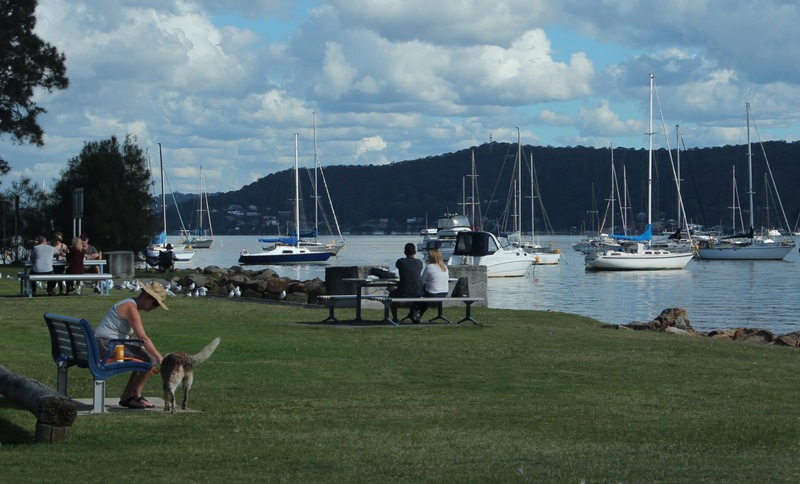 Park at the picnic grounds at the side of Gosford Stadium and walk along the Central Coast Highway which may be noisy depending on the amount of traffic. Weekends are usually quieter. Pass the abandoned Iguana Joes restaurant and continue along the waterfront. 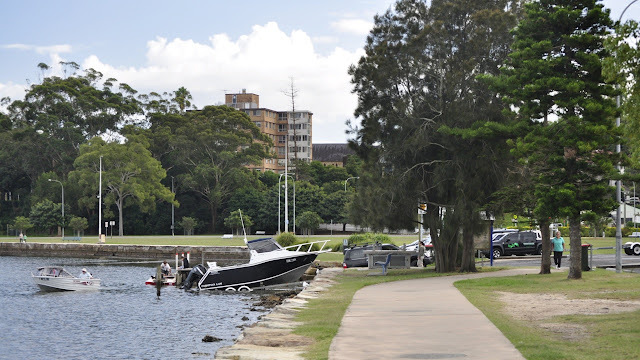 On the weekends the boat ramp is usually busy with the adjoining car park full of vehicles with boat trailers as Brisbane water is popular for water activities. Continue on behind Gosford pool to the picnic area where you can stop for a drink and a bite to eat as long as you have carried your own supplies or have stopped at Montis Ashore for a delicious packet of fish and chips. Walk across the grass, behind the sailing club and continue on to the Sea Scouts building. 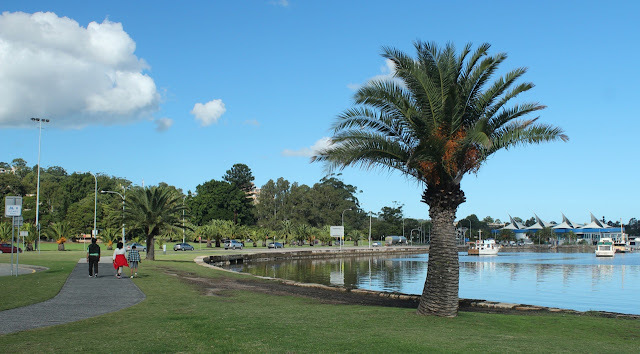 Return along the same path, however when you reach the traffic lights at the intersection of Masons Parade and Central Coast Hwy cross and continue along the path on the opposite side of the road so you can detour to the war memorial park. 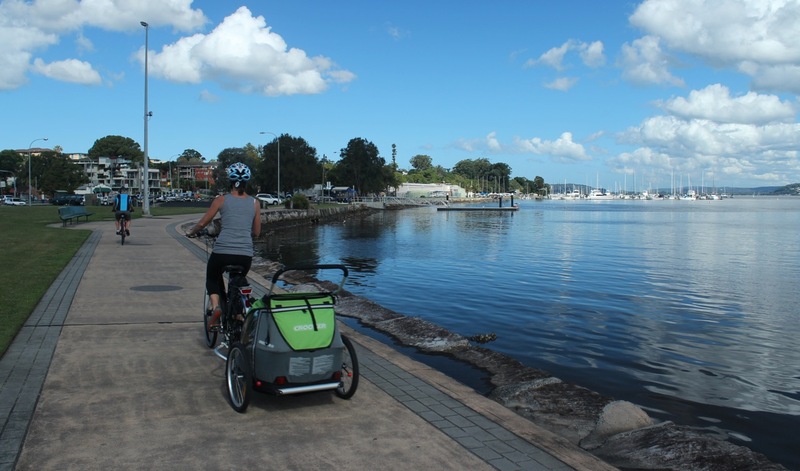 A great way to transport toddlers while you cycle. Facilities: picnic areas, chidrens playground in picnic area beside Gosford pool and the popular fish and chip shop Montis Ashore on the opposite side of the Highway. Length: 2.36 km return walk. Difficulty: level walk. Detour to war memorial park involves a steep set of stairs. Getting There: at the roundabout near Gosford Stadium turn into the short road between the foreshore park and the bridge which leads under the bridge to plenty of parking. Avoid times when there are events at the stadium. Continue on: Upon returning you can continue on across the bridge and along the path beside the Central Coast Highway to Carawah Reserve Walk and Adcock Park Walk. 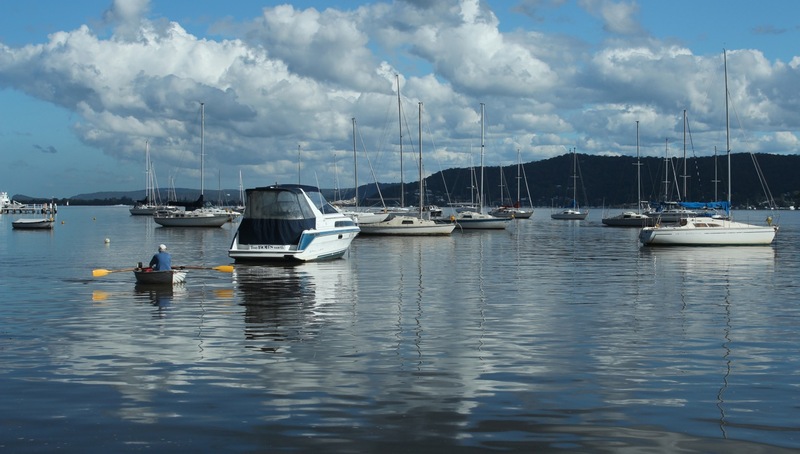 Fabulous views across Brisbane Water and a great spot to observe water sports on the weekend. Besides skiing, sailing, jetskiing and motor boats, once watched someone holding onto an inflatable tube behind a motor boat. Skate Boarding as well as walking, jogging and cycling occur along the path. The Sailing Club ahead and the picnic area beside the path near the palm tree. All weather picnic area with playground. Busy picnic area just past the sailing club. Fish and chips is popular from the local shop. 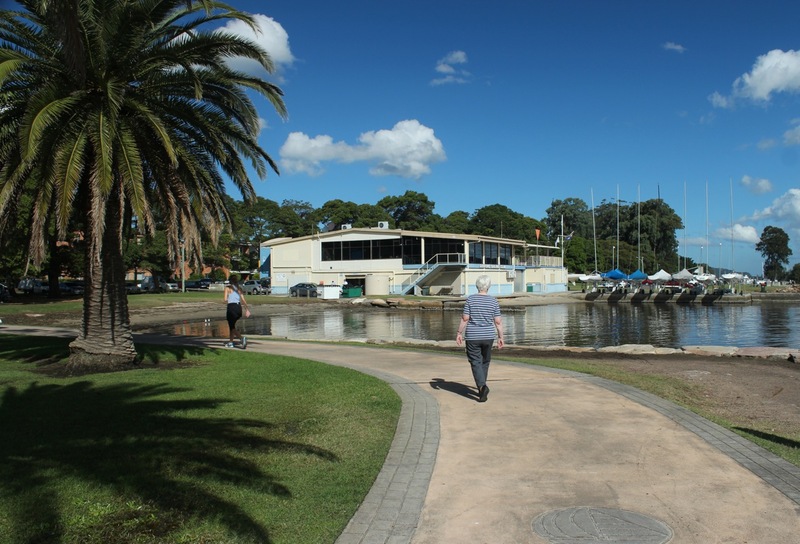 Cross the Central Coast highway at the lights near the car park at the boat ramp and go to Montis Ashore. View near the Sea Scouts building. If you haven't already done so please get behind Ask Roz Central Coast and help us promote our Small to Medium Local Businesses here on our beautiful Central Coast. Please like the Ask Roz FB page to show your support, thank you. Harry Campos Regional CEO. #AskRozCentralCoast. Gosford Waterfront is one of the beautiful places i have seen. When i got time, i go there have some re freshness and make my mind cool. Everyday many visitors have come here and day by day it is increasing. Thanks! !